I Raise my Voice to Spirit is my first CD, demonstrating my unique form of Sacred Sound. For more information on upcoming events, visit my blog. 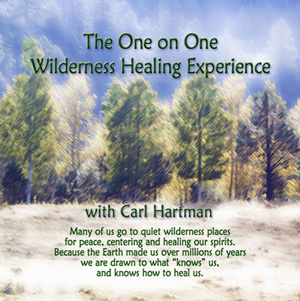 Many of us go to quiet wilderness places for peace, centering and healing our spirits. Because the Earth made us over millions of years we are drawn to what “knows” us. and knows how to heal us. The One on One experience has grown from taking my friends who were under stress, in grief, or going through life changes into a beautiful wild place. There we talk, read, walk. I teach ways to be in connection with the Earth that are different than how our culture uses the Earth. We go into silence, listening and receiving from the land; we experience awe and joy and thankfulness. We spend time remembering, sorting out true teaching from manipulations; forgiving, thanking, nurturing ourselves on the beauty and energy around us. We do ceremonies of thanksgiving, of letting go of useless and destructive attitudes, feelings and thought patterns, we cleanse ourselves in spirit and in body. We may do a period of being alone and in silent awareness and fasting. We usually go for three to five days although shorter and longer experiences have also been available. The primary intention is to learn to be in the world as a part of the divine intention, not as a dominator and consumer of the Earth; to see the mountain and the tree as they are, not as a resource for a consuming species. We go to a beautiful wild area and set a comfortable tent camp with a large wall tent, wood stove and cooking equipment. We use smaller tents for sleeping. In winter, depending on the weather, we may use a cabin on the edge of the Pecos Wilderness Area. The cost is usually $250 per day with sliding scale consideration. The cost of food and travel is additional. One or two hours of conversation and planning are essential prior to the trip so that our time in camp can be customized to your concerns. a way of being in the present, in silent conversation with the environment. His reading is in all spiritual traditions and processes. He believes that the Divine Energy is to be found in all creation and at the mystical level of all traditions.